Last week, in the Double Act series, I featured several authors who had also become publishers. Today, I’m featuring someone who went the opposite journey, from publisher to author, and in between also took on many other roles in the industry. Margaret Hamilton AM is one of the most respected and versatile figures in the Australian children’s books world. She has been involved in children’s literature as a librarian (at Parramatta City Library), as a bookseller, a publisher and a parent. In 1987 she left her position as a director at Hodder & Stoughton Australia to begin Margaret Hamilton Books with her husband Max. 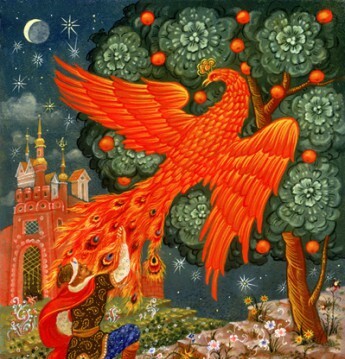 The company built up a reputation for high quality children’s books and was dedicated to the philosophy ‘that children have a right to the best of everything, especially books’. Margaret Hamilton Books won many awards and had considerable success on the world market. It became a Division of Scholastic Australia in 1996, where the imprint remains. 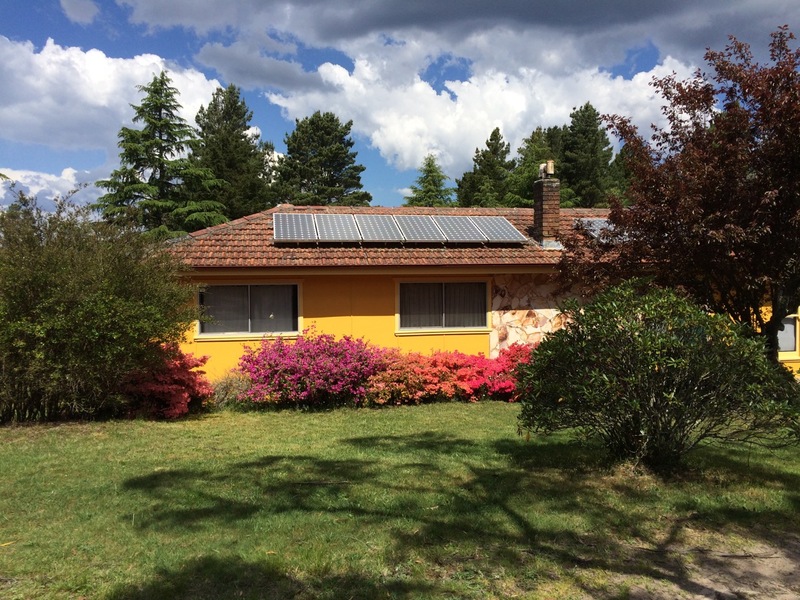 Margaret’s passion for picture books, her enthusiasm for the world of Australian illustrators, and her recognition of the need for wider promotion of picture books, have led her to Pinerolo, the Children’s Book Cottage at Blackheath. She has been involved with the Children’s Book Council of Australia for many years and is currently on the National Board. 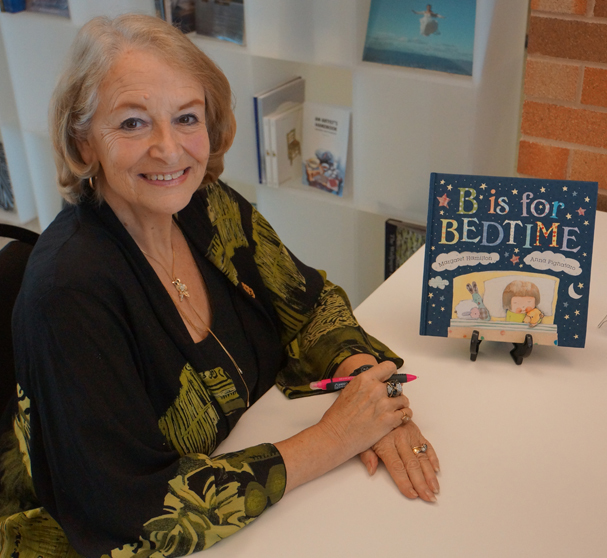 Her Order of Australia Medal was received in 2008 – ‘for service to the arts through the promotion of children’s literature and literacy and through support for authors and illustrators’. She has also received the Lady Cutler Award, the Dromkeen Medal, and the Nan Chauncy Award, amongst other honours. Margaret, you’ve had an amazing and varied career in the children’s books industry. How did you get your start? When I left school I began work at Parramatta City Library. Although I wasn’t a reader as a child, I discovered I liked the books and relating to the children. One of my lecturers when I studied Librarianship was the legendary Maurice Saxby. He turned me on to children’s books and they became a lifelong passion. When I left the library I worked for a while in a bookshop, experiencing the commercial side of books. As a publisher, you worked for a big company–Hodder–and then later started your own publishing company, Margaret Hamilton Books. What prompted you to do so? And was it like, going from the corporate publishing world to the small-press world? At Hodders I was Director in charge of publishing – the only female on the board! I was responsible for Hodders entire list, but children’s books were my favourites. It was after I had my daughter and my husband had extended the house that we started our own company. It meant I could be home for my daughter and concentrate on children’s books. As with being the only female on the Hodder board, I knew that our small company was up against the big boys. We had to be as good as them, if not better. So I continued to attend the Bologna children’s book fair and promoting our books everywhere. After ten years in publishing we became a division of Scholastic with a five-year employment contract. So working for a UK based company then for a multi-national based in New York were both very interesting insights into world publishing. 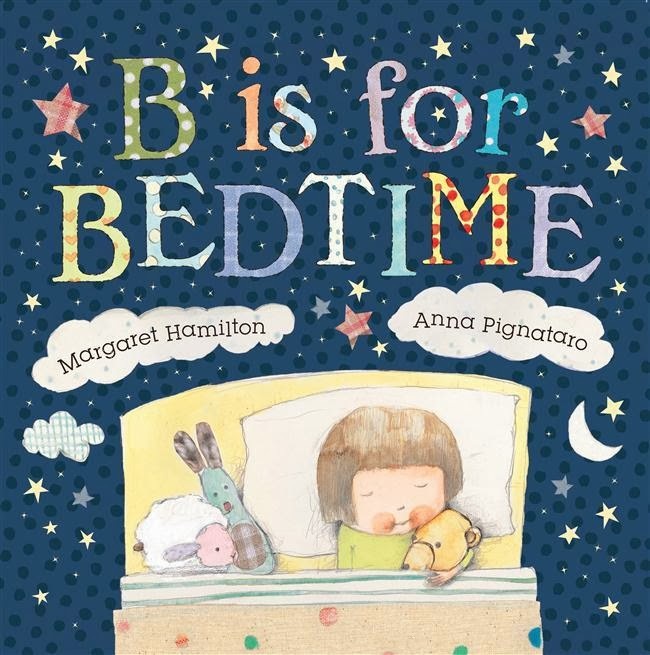 You have written and edited several non-fiction books about the children’s books scene, but last year your first picture book, B is for Bedtime, illustrated by Anna Pignataro, came out, garnering much acclaim. And there’s another picture book on the way. How did you make the transition? Have you always had ideas for picture books, or is this a new direction altogether for you? And what was it like, working with an illustrator on your own book? The publication of B IS FOR BEDTIME was an absolute thrill for me – after over 30 years of publishing other people’s books, I was now an author of a published picture book myself! It’s very exciting how well it’s doing in the US – up to its third printing. I had always been very shy of showing publishers my work but plucked up courage and sent that to Little Hare. They will be publishing the next book COUNTING THROUGH THE DAY next year. Anna is illustrating that as well, and doing a magnificent job. I suppose being around and working with the best of Australian picture book creators, some of it has sunk in. You’ve always been a strong supporter of picture books, and illustrators as well as authors. Which picture-book creators have most impressed or inspired you, over the years? That’s like asking me for the favourite book I published! I used to say that I didn’t have favourites, that all the books we published were our babies and we hoped they’d grow into award winners! I’ve worked with many of Australia’s picture book creators and am very proud of them. I’m also proud to have published books which are now classics and still available today – like THERE’S A HIPPOPOTAMUS ON OUR ROOF EATING CAKE by Hazel Edwards and The GRUG series by Ted Prior. I’m also extremely proud of the books Margaret Hamilton Books published: several by Patricia Mullins, THE VERY BEST OF FRIENDS by Margaret Wild & Julie Vivas (winner of the Picture Book of the Year Award), MY DOG by John Heffernan & Andrew McLean (multi award-winner), WHERE DOES THURSDAY GO? by Janeen Brian & Stephen Michael King and publishing Glenda Millard’s first book UNPLUGGED! illustrated by Dee Huxley. Glenda has gone on to become one of Australia’s most successful authors. All of these people are still creating superb books and continue to inspire me. 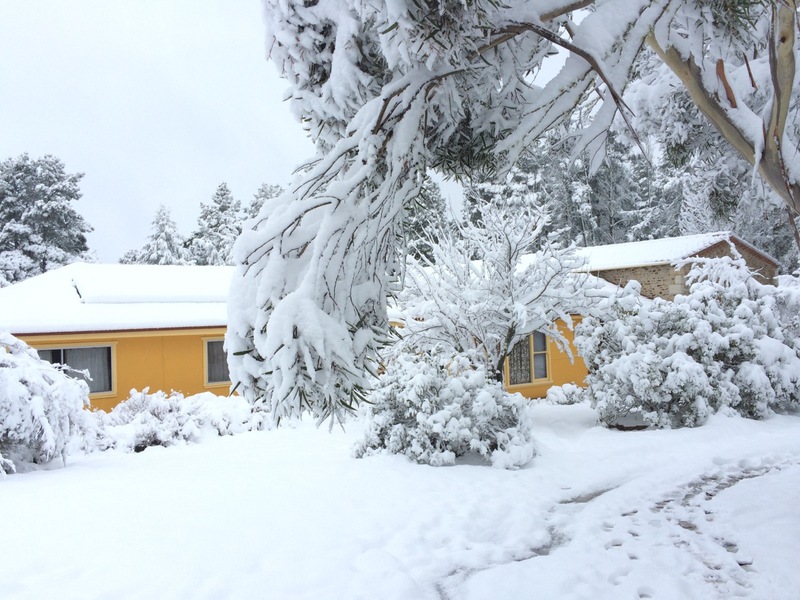 You are a founder of the lovely children’s book centre in the Blue Mountains, Pinerolo Cottage. Can you tell readers about the Cottage, and what happens there? Pinerolo the Children’s Book Cottage (www.pinerolo.com.au) has the largest collection of original artwork from picture books in NSW, also a collection of picture books and reference books. We run one-day courses in creating picture books. I’m usually joined for the day by an award-winning author or illustrator. Recently the fabulous writer Glenda Millard was here for a record number of participants. I also love talking to groups of school children and to groups of adults, some of whom have come on a bus trip to Blackheath. The Illustrator in Residence program provides inspiration and mentorships for illustrators working on a project. I enjoy mentoring authors and illustrators, helping them in the development of their ideas. Most notable success recently is Lesley Gibbes, with her first picture book SCARY NIGHT, illustrated by Stephen Michael King, which was a CBCA 2015 Honour Book. You’ve won many awards for your significant contribution to the children’s book world, including the Dromkeen Medal, the Nan Chauncy Award, the Lady Cutler Award, and Order of Australia, and more. And you’ve seen the children’s books scene evolving over many years. What are some things you’ve observed, in terms of trends, over those years? I believe I’ve been extremely fortunate to have stumbled into a career in publishing. It’s been very stimulating and demanding but also very satisfying and fulfilling. That’s probably why I can’t retire! There’s always another wonderful writer or illustrator coming along and I love seeing them succeed. The Australian publishing industry is now recognised throughout the world. There was some nervousness a few years ago as publishers felt the threat of ebooks. However, they have come through this and are continuing to publish beautiful picture books. Sharing a picture book with a child, or a child reading it themselves, is a tactile experience that cannot be replicated on a tablet. Children especially are returning to real books and it’s such a pleasure to see so many beautiful Australian picture books being produced. Authors like Andy Griffiths are saving the book trade. His treehouse books have been number one on the bestseller lists. Top of the list for all genres. That’s a huge achievement. I’ve also been involved with the Children’s Book Council of Australia for many years. It has undergone a change in the last few years and is now run by a National Board. I am Deputy Chair of the CBCA National Board and am finding it challenging. I’m also very hard at work with the Committee for the CBCA 12th National Conference which will be held in Sydney in May 2016 (http://cbca.org.au/NatConference.html). Also next year the 70th Children’s Book of the Year Awards will be presented in Sydney – where it all began in 1945. Maybe after that I might think about retiring! Margaret Hamilton was my first ‘Hodder’ publisher with the cake-eating hippo book, and I’ve always been grateful to her for her encouragement of quality writing. She’s had an important role in the lives of many creators.